At least five children, most under the age of 10, are suspected to have been allegedly se*ually abused by a group of adults in Western Australia, police said Friday. One eight-year-old girl was assaulted multiple times by a number of adults, including her mother, step-father and a family friend, according to police. They have been arrested and charged with 23 counts related to the alleged se*ual abuse, including se*ual penetration and indecent dealing. Police are investigating claims that victims were drugged and abused at organized swinging or group se* parties. Police said investigations began after recordings were found on a member of the public. A taskforce, codenamed Mirzam, was launched in February after a recording device was discovered by a member of the public showing adults engaging in se*ual acts with the young girl, the police statement said. “What Taskforce Mirzam has uncovered so far will shock the community and I should warn the investigation is ongoing and there is a real possibility more victims may be identified,” West Australian Police Superintendent Sharon Leonhardt said. On Thursday officers from the taskforce raided six properties around Western Australia, including Perth, arrested three more people who have yet to be charged. 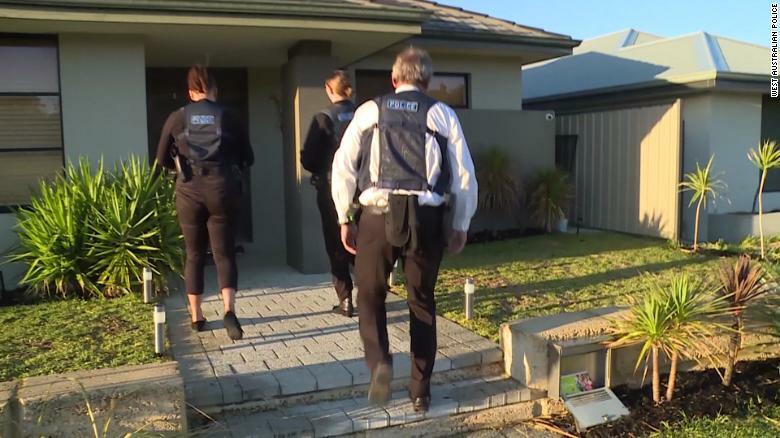 A property in South Australia was raided on Monday as part of the investigation and a number of electronic storage devices seized. West Australian police said the community would be “shocked” by the se* abuses. Interpol and Australian Federal Police are assisting investigators in examining a number of hard drives, laptops, thumb drives and mobile phones to identify additional suspects. “Further arrests are anticipated and dozens more charges expected to be laid,” the police statement said. The three adults who have been charged will appear in Perth Magistrates Court on April 18.